The EDGE System enhances every projector, display or LED wall. It realizes Video Mapping intuitively, fast and efficiently. 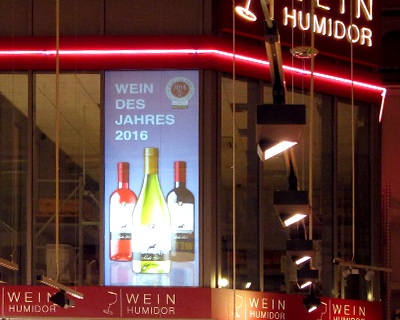 Video Mapping is for events, fairs and digital signage: as an information medium and as an highlight. The EDGE App is the interface of our EDGE System. It allows an fast but easy access to projection mapping. The placing of different content is immediately possible. The EDGE System presents your performance in the perfect light. Experience new ways of placing your information with light design. Attract your customers, users and viewers with a real eye-catcher. With the EDGE System you can transform any surface to an advertising medium. It offers a whole new dimension of presenting digital media. Draw attention to you and your product! Events of all kinds exist for multimedia installations. A quick set up and flexibility are major advantages. The EDGE System is a perfect and precise toolkit. The EDGE System is a tool for creatives. 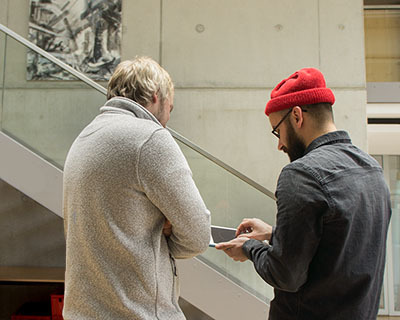 It offers a new and easy way for artists and designers to get in touch with light as a medium. We develop a system, that enhances any projector, display or LED wall with the capabilities of video mapping: EDGE. A compact video server and an iPad-App. The DS-system is complemented by a multichannel CMS. Video Mapping is a technology, where various surfaces are illuminated by a projector with different videos, pictures and animations forming a composition. Projections will become highlights: for information, advertising and ambience. The unique connection between the projection and the interface provides highest comfort with the implementation of Projection Mapping. Create a multimedia installation within a few gestures. Act flexibly on all circumstances by modifying content and shapes remotely from near and far. 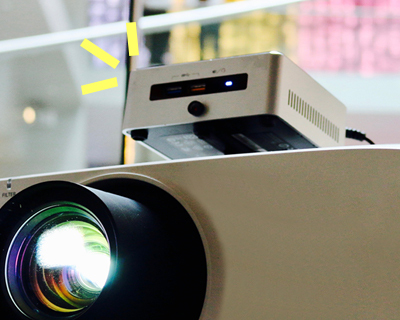 Move free and wirelessly in the room, while setting the projection. No cables any longer, that limit your mobility or your point of view. Pictures, videos or animations: Use all kinds of media to project perspectively independent to all forms and formats. The EDGE System offers absolut freedom in designing and placing your media. Polygons, triangles or curves and round edges, with the EDGE your projection is always exactly on the edge. Manage and control multiple EDGEs with our web based multichannel Content Management System. The EDGE C is a compact video server. The system is operated via our advanced EDGE C App. Processing power, handling, comfort and the right features for your projects. The DS stands for Digital Signage. With our multichannel Content Management System the projection is centrally controlled and managed remotely. Concept development and implementation – we will advise you with your project. With our reliable partners and suppliers we guarantee quality and reliability. We create the right solution for your ideas.